For reliable, easy bus reservations in Beverly Hills and the surrounding areas, rely on Champion Charter Bus. Our network of bus rentals and 24/7 customer support guarantees a stress-free, simple process for any group. Ready to get started? Call us at 323-203-0952 to begin planning your trip. Champion Charter Bus is California’s top-rated charter bus & minibus rental company, providing a hands-free, simple process. Our team handles the entire process from beginning to end, giving you one less factor to worry about during your trip. Our extensive network includes a variety of bus rentals to choose from, ranging from minibuses all the way to full-sized motorcoaches. We work with groups of all sizes to arrange the best transportation solutions for their special event, and we’re more than ready to help you. Let us help you plan the perfect trip with our all-inclusive Los Angeles sample itinerary! Or, call our 24/7 reservation team for expertise and help in crafting your personalized itinerary by calling us at 323-203-0952. 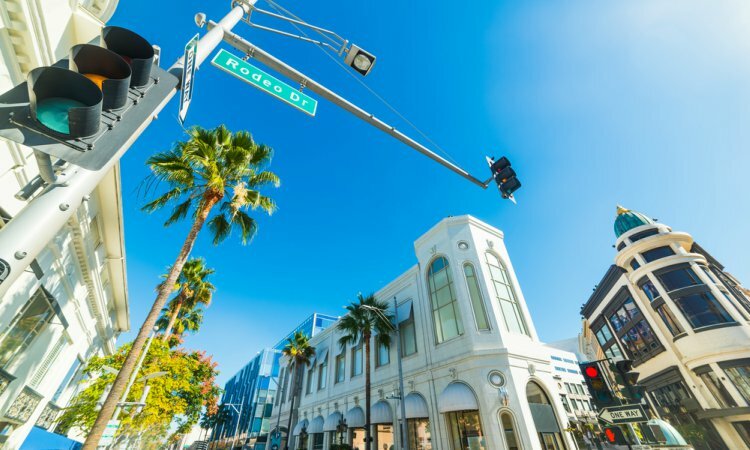 As one of the most affluent cities in California and home to many actors and celebrities, it’s no wonder every tourist hits Beverly Hills at least once. Whether you’re planning a private trip or already in town, let Champion Charter Bus be a part of you journey. Catch a local event on Rodeo Drive, go on a shopping spree at the the Grove, or explore the Farmer’s Market. Whatever is on your itinerary, we’ll match you with the best bus for your adventure. We allow you to craft your schedule how you like it, giving you the freedom to explore Beverly Hills and the rest of LA on your time. Travel anywhere in the West with your group. With Champion Charter Bus, it’s easy to see and do more. We service most major cities in the western United States, like Long Beach, Palo Alto, Sacramento, San Diego, San Francisco, Las Vegas, and more, and we’ll help you travel anywhere else you need to go. Your next event can be even better with a dedicated bus rental to transport attendees. While you’re planning all the important parts of your big event, let the professionals handle all the transportation logistics to ensure attendees arrive on time and together. A charter bus rental is the best way to transport large groups of employees and clients for your next corporate event. Request an all-black interior for a professional look and features like WiFi and power outlets so passengers can continue to work while on the road. Your professional driver will always arrive 15 minutes early and plan the most efficient routes to your venue for the utmost punctuality. When planning a wedding, you want to ensure every guest can arrive with ease to celebrate your special union. Champion Charter Bus has worked with couples and event planners to organize reliable shuttle services for the wedding parties and guests. We’ll be your liaison between hotels and your wedding event at a venue like the Greystone Mansion. Celebrate knowing each guest will arrive on time with a guaranteed safe ride back. Upgrade your next school event with a charter bus rental. Traditional school buses lack a lot of the features that charter bus rentals include for a completely comfortable a memorable trip. We’re experts in organizing the right transportation for all school events, whether it’s for a field trip, sports team, greek event, campus tour, off-site meeting, and more. While you ride to your field trip to at the La Brea Tar Pits, your group can enjoy reclining seats, air conditioning, TVs with DVD players, and on-board restrooms. With comfortable features and a restroom, you’ll need fewer rest stops, giving your group more time to do more on your trip. Transporting local sports teams to an away game is easier than ever with a minibus rental. Keep the team together without the need to worry about transportation on their own. Store all luggage and sporting gear with ease in your bus’s storage bays, and sit back and relax while your driver handles the rest. 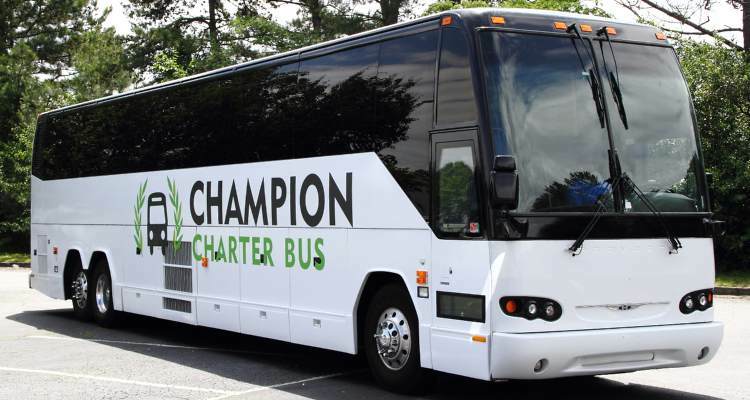 Champion Charter Bus is your go-to for all large-scale transportation needs. Our experience in helping every kind of group, including senior groups, military & government personnel, casino groups, and more means we can help plan your personalized trip. Call our 24/7 at 323-203-0952 to learn more.